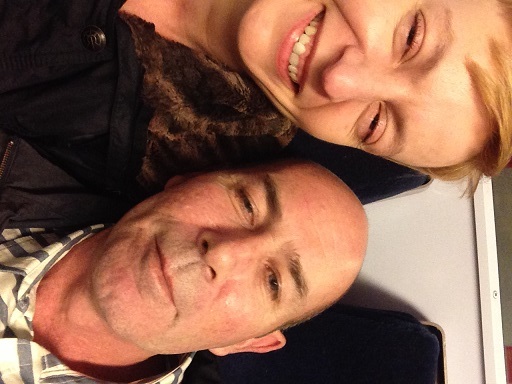 On Saturday me and Brian went to Jason Atherton’s Little Social for our anniversary dinner and had a great time. I’m still not someone who finds whipping out my phone and taking pictures of my food a normal or natural thing to do, but I tried! I also find it very awkward when at dinner with friends and they start snapping away and taking pictured of food, so I’m hoping to not be an embarrassment to others either. I will get better with more experience I’m sure but for the moment the pictures aren’t great. Anyway, enough excuses; on to the review! We started the evening with a drink at Ain’t Nothin But in Kingly Street and then moved on to the Masons Arms just round the corner from Little Social. 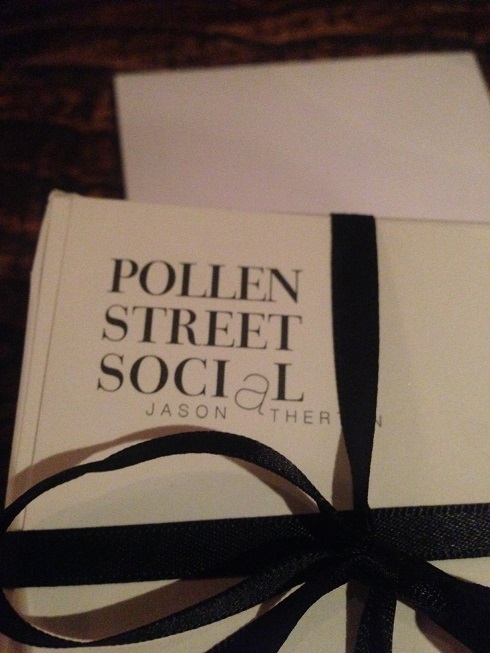 I’ve been the Pollen Street Social with friends before so I had high hopes for Little Social. At Pollen Street Social we had the tasting menu and it was a very interesting experience with great food and drinks. 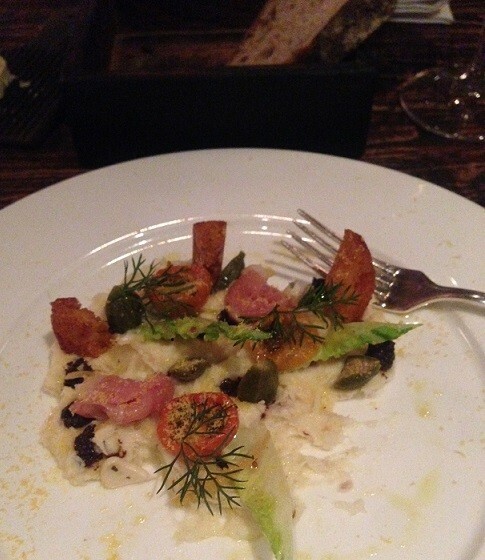 Little Social is more informal but with really good atmosphere and of course great service. I started with cod brandade while Brian made do with a lovely bread basket (it only had to be refilled once!). 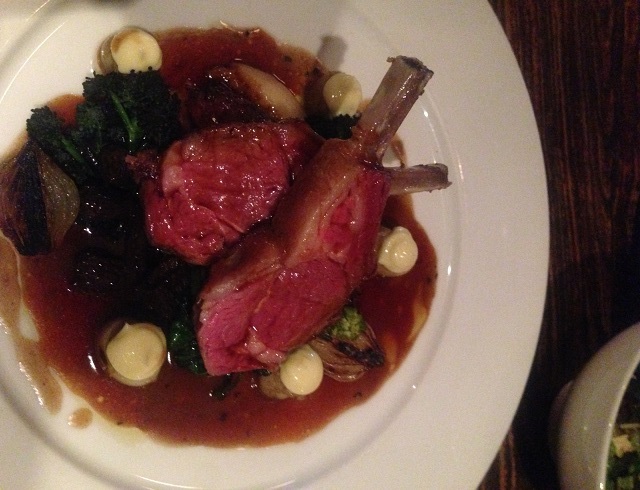 For mains I had lamb three ways, and it was very, very good, especially as I haven’t had lamb in quite a few months! 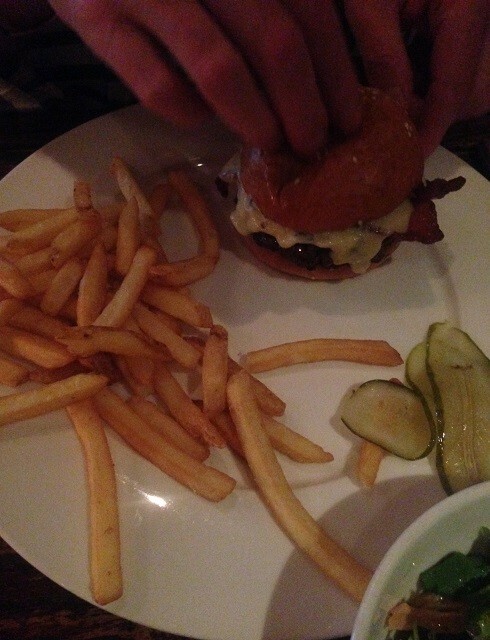 Brian had the Little Social burger which according to numerous burger reviews is one of the best burgers in London. Brian’s burger didn’t look much like any of the pictures I saw of the burger on the Internet and Brian said that it was ok, though nothing very special. 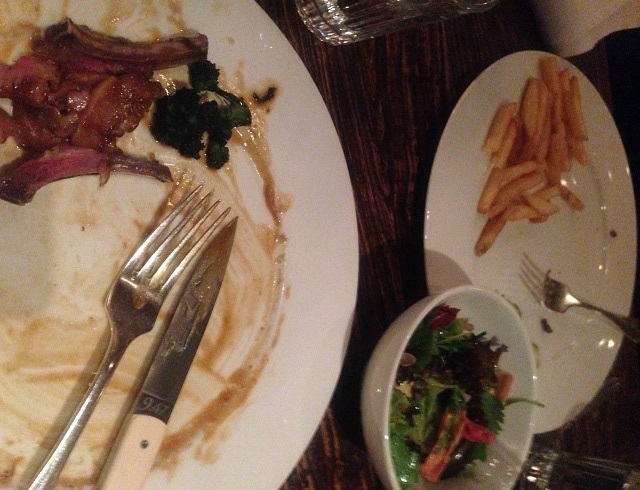 I was a bit disappointed in his verdict as I expected a lot from the burger but my lamb was great! For desert we shared an apple tarte tatin with clotted cream ice cream that was lovely and rich as it should be. 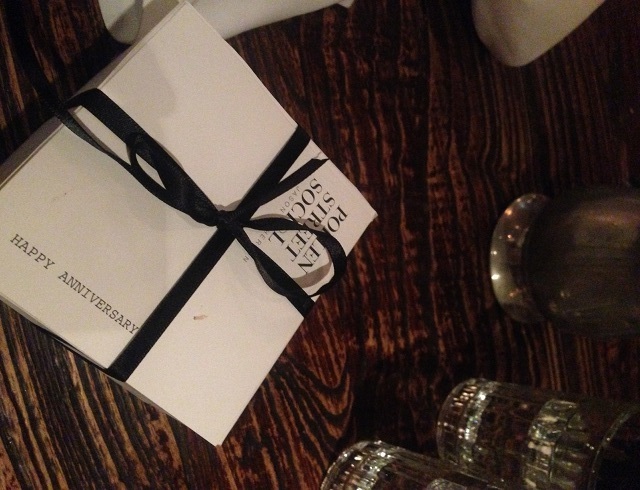 We had a great experience at Little Social, but best of all was that as they were aware that it was an anniversary dinner they presented us with a card and take-home chocolate cake at the end of our meal!